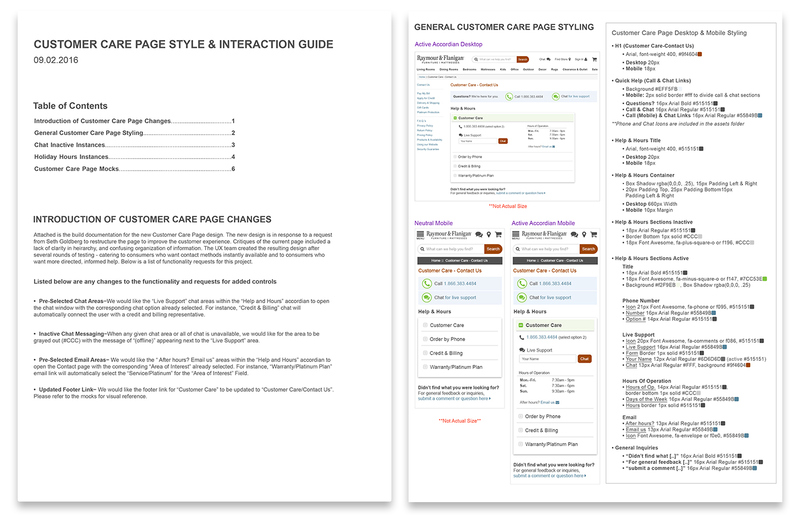 This page redesign was a request from the leaders of our Call Center to update the user interface of the Customer Care page to better direct customers to the appropriate channels. One of the original designs solely featured the accordion and took away the quick link options of the phone number and chat service. The idea behind this design was to have the customer make an immediate decision on which department they needed to speak with, rather than wait for phone options to be read or being prompted to make a decision in the chat pop-up. 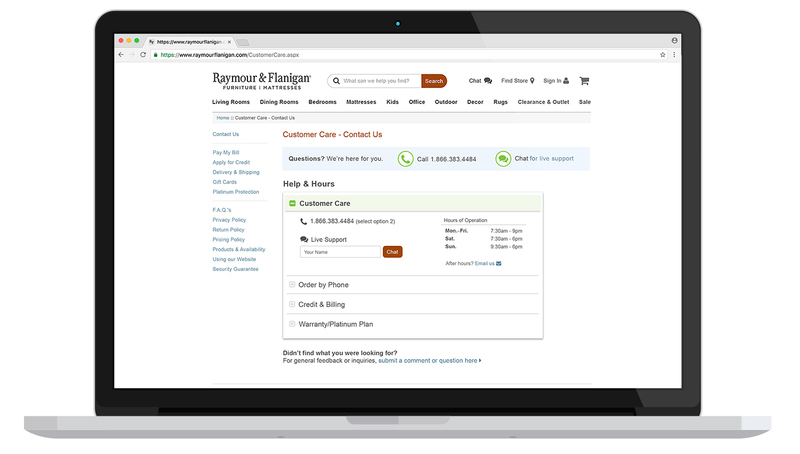 A user test revealed that about half of the consumers had decision paralysis when faced with just the accordion. 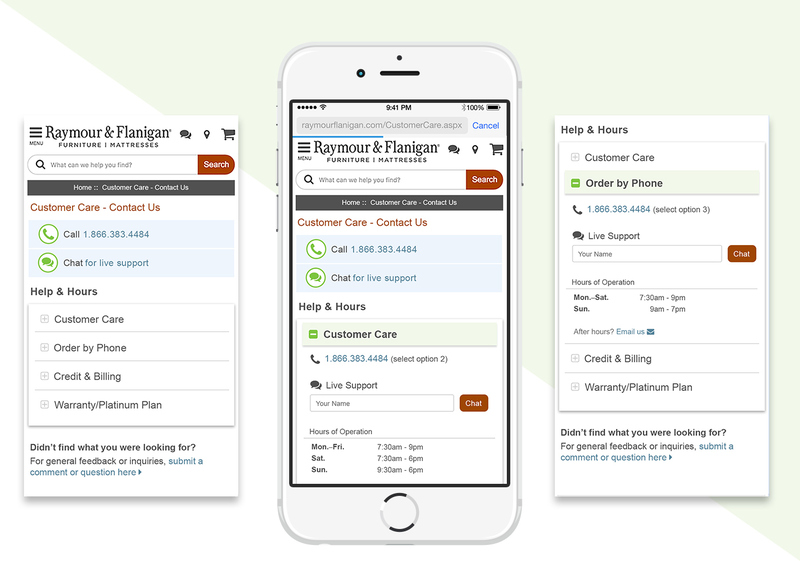 The final design features the quick link options and the accordion with more detailed information. Another goal of this project was to clearly communicate when chat was unavailable. This design removes the chat form field and along with it, the illusion that chat is available. Stakeholders did not want the phone number to appear "offline", although they share the same operating hours, because representatives will reply to messages left on the answering machine. I provided our development team with documentation that gave each design and interaction decision context to better communicate the goals we were trying to achieve with this redesign. I also provided basic CSS styles for reference in the documentation.